I ordered a set (necklace and earrings) and they smell like strawberries! And she sent a cupcake soap as a thank you gift!!! Thanks so much for your message. I love hearing about new cupcake products and it's great to hear such positive feedback about a supplier. 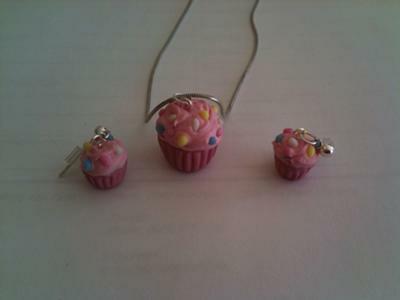 I might have to get a cupcake necklace for my daughter.